My adorable cat Cheops has a wonderful cat bed, but he still likes to hide in paper bags and boxes. 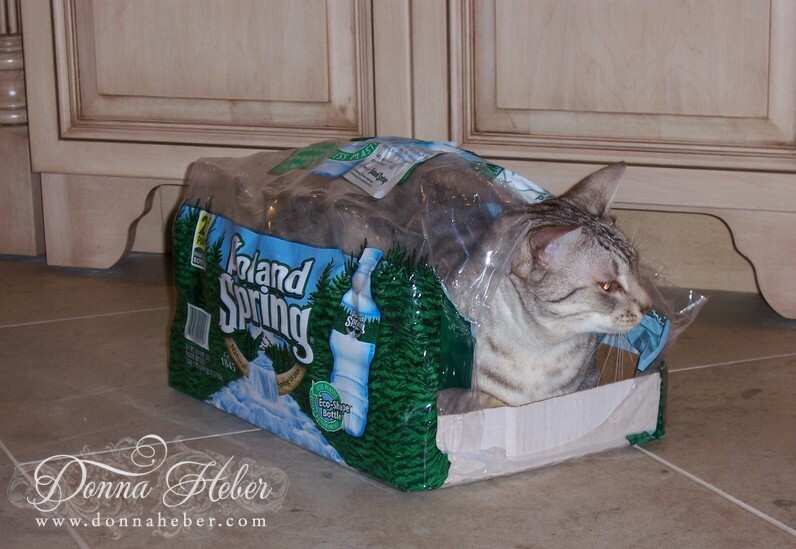 I thought this was a cute picture of him in a Poland Spring Water package. Thank you for stopping to visit us. We are joining Weekend Cat Blogging hosted by Pam at Sidewalk Shoes. Aw, how cute! My cats do the same! They love to find things to get into! He's beautiful! My little calico cat Callie does the same thing! Aren't they cute?? I'm sure Cheops rules the roost..he's gorgeous! Bags and boxes are the best! Oh, Donna, this so cute! I love how kitties always make us smile! How funny! That is adorable! So sweet. My cat was a Siamese and she loved to get into bags and things. Miss her alot.Thanks for sharing your cat with us. Too bad you can't find something so cute in the grocery store! ;) Adorable! What a great photo, Donna. Artie & Crafty love getting into any bags or boxes we bring home as well. Cheops looks gorgeous, at first glance I thought he was a Bengal! 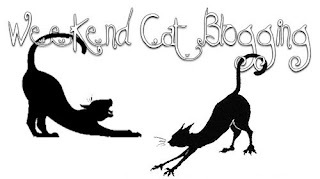 Thanks for stopping by my blog, I appreciate your support. Cute picture. Cats seem to like to sleep in the oddest places. lol That's what gives them personality. I just love it!